Though the U.S. Retails sales disappointed on Wednesday, the University of Michigan’s Preliminary Consumer Sentiment index did not. For the month of December 2014, it came at 98.2 compared to the expectations of 94.2 and prior month’s reading of 93.6. Same with UoM’s Inflations Expectation reading. 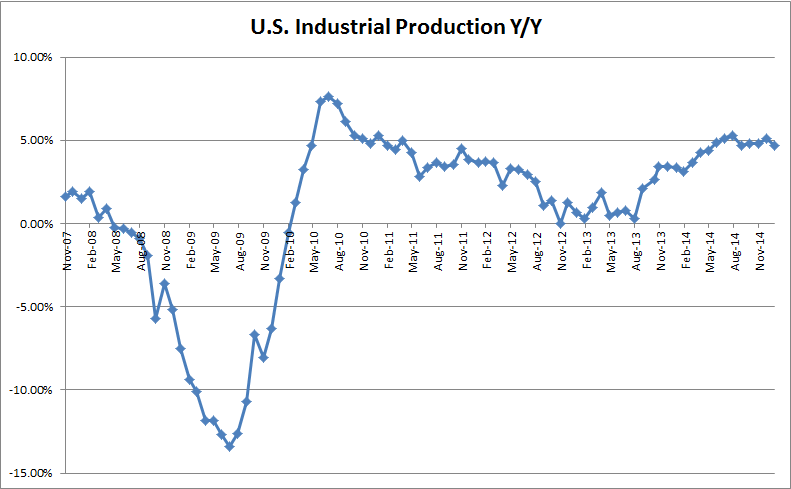 It was 2.4%, though it declined from previous month’s expectations of 2.9%. On the downside the Capacity Utilization rate – percentage of available resources being utilized by manufacturers – was 79.7% for December versus the forecast of 80.2%. 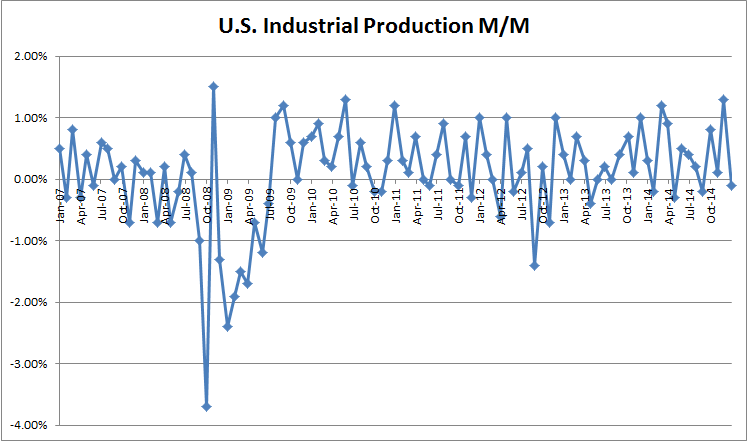 Also on down was Industrial Production month-over-month change, which was -0.1% and below the forecast of 0.1%. Below are how these graphs look since 2007. 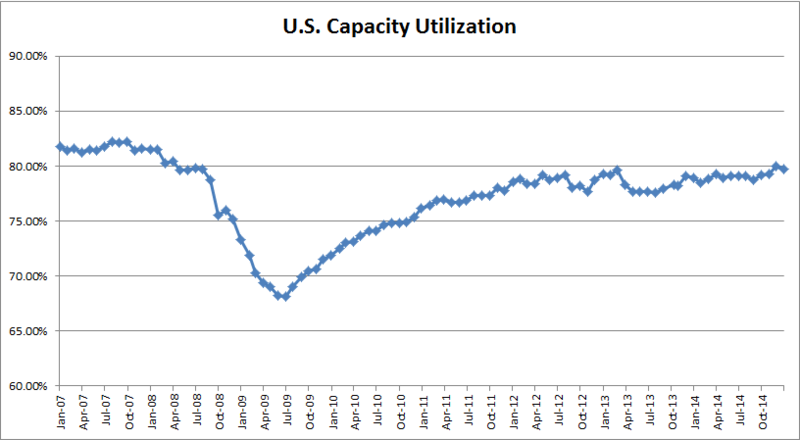 Capacity Utilization is unable to break the ceiling of 80% since Q4 2008. 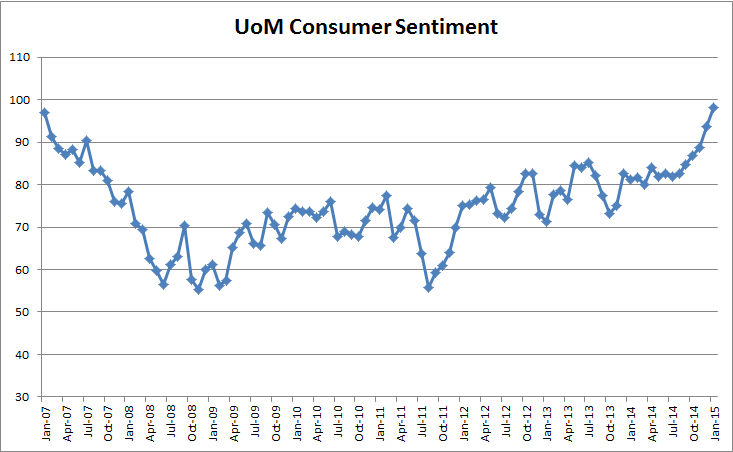 Consumer Sentiments is flirting with the high levels last seen in 2007 and the year-over-year Industrial Production is breaking above the yearly rate previously achieved in 2012.